Home Encouraging Sometimes we don’t have a choice. Sometimes we don’t have a choice. There are two ways in which we can or may live our life. We can spend our life working towards becoming conscious or we remain unconscious. Who is to say that either way is right or wrong. I suppose it really all comes down to personal preference. Although, there is always one acceptation to the rule and life certainly has a way of letting us know this from time to time. At least once in your life your Soul will send you a message, maybe more than one if you don’t get it the first time. 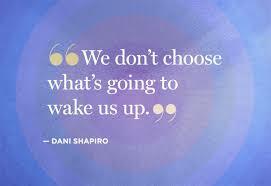 This message may come as a subtle whisper, something like ‘it is time for you to wake up’! Perhaps you don’t have a clue what your gut feeling is telling you, maybe you think you’re going a bit bonkers with the thoughts that swirl around your head. What ever the message was, it isn’t making any sense at all. Your Soul is asking for change, and that is not something you like to think about, so you do what your Ego say’s you must do and you ignore it. Time goes on, everything remains the same, whether you are happy or not, it doesn’t seem to matter much. Then another message comes through, this time not so gentle. You didn’t want to listen the last time your Soul was speaking to you, so now you’ve pissed her off. This time she got you while you were lying in bed. Smart she is, knowing that you are tired and vulnerable and just trying your hardest to get to sleep. All of a sudden your Soul hits you with a blast of energy. A shock wave that has you gasping for air. It feels like there has been a strong gust of wind blow through your chest, and it hits you like a rock. Like a strong gale hits a wave in the ocean. Your Ego hits the panic button and what happens next is just a blur. A few hours later you ask yourself, what was all that about? Energy is a funny thing. If we don’t pay attention to something we are supposed to, it creates energy in our physical body and over time that energy builds and builds. Our Soul brought something inside of us to the surface for us to deal with. Whatever the issue is, once it is brought forward it begins to create energy. If we don’t face it or deal with it, that energy eventually has to be released somehow. At some point that built up life force power must let go. Lying in bed you have just witnessed yourself having an anxiety attack of some kind. Not always does this happen in bed, or at night. Anxiousness can catch you off guard at any time of the day. What to remember is that you certainly are not going bonkers, you just really need to look at something in your life that your Soul is trying to bring to your attention. Take the time to ‘listen, connect and dig deep’ as to what it might be. It represents change. Don’t be afraid, this change is for a very good reason.